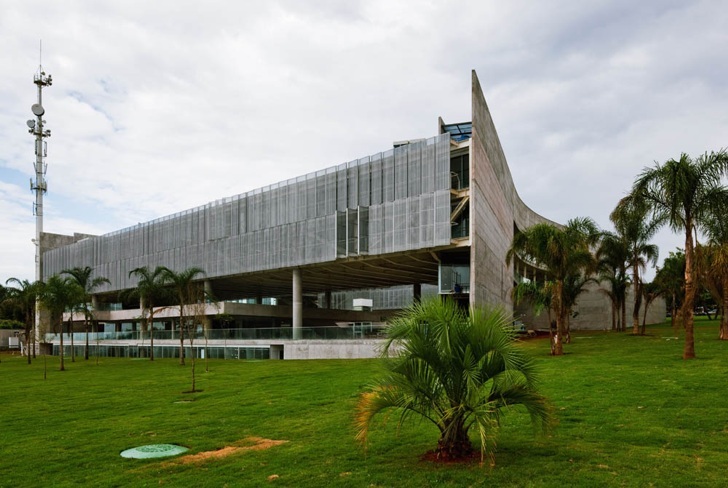 <a href="http://www.gruposp.arq.br/">Gruposp</a> has designed a new corporate headquarters for nonprofit <a href="http://www.sebrae.com.br/">Sebrae</a> in Brasilia, Brazil that takes cues from the brutalist architecture of the country’s capital while integrating sustainable building strategies throughout. 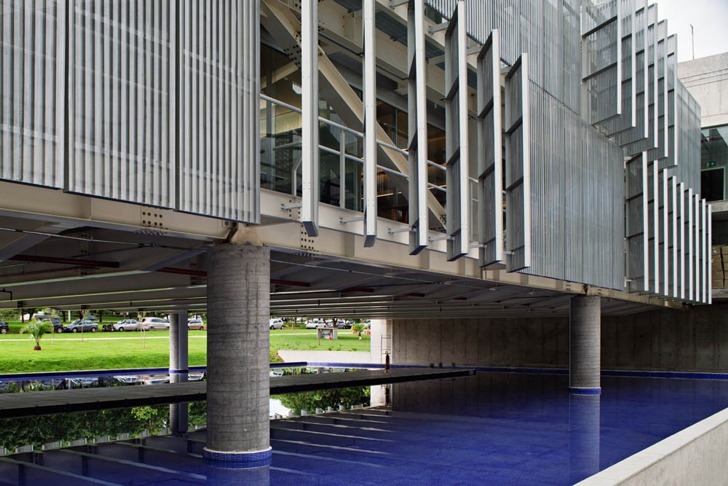 The design pays particular attention to the site's warm climate by providing plenty of outdoor space tempered by extensive <a href="https://inhabitat.com/winning-office-tower-design-marries-looks-with-efficiency/">cooling features</a> such as a green-roofed auditorium, cooling pools, and brise-soleil cladding. 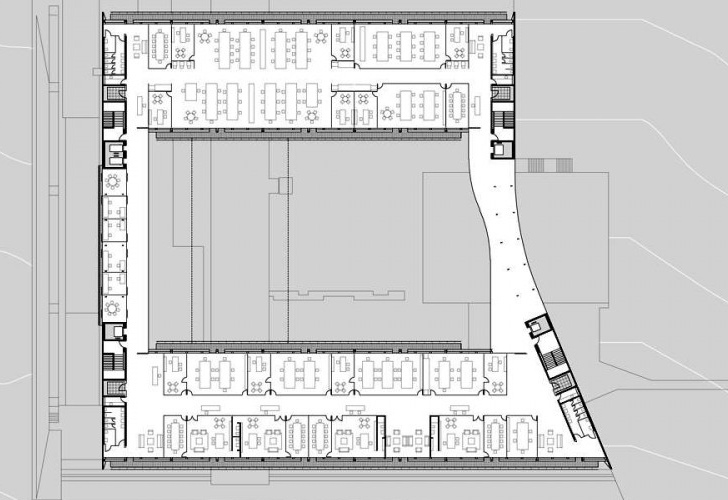 The <a href="https://inhabitat.com/steven-holls-horizontal-skyscraper/">floating design</a> turns the typical office on its head (or inside-out in this case) by featuring an open core with work spaces flanking the perimeter. 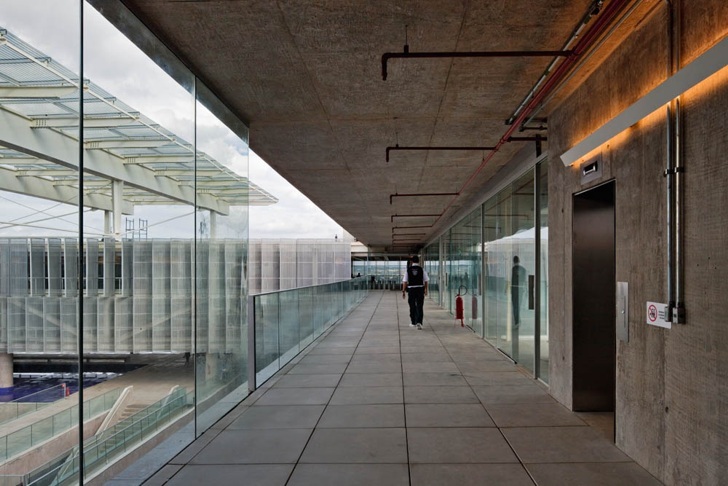 The office building is deceptively simple from a distance, appearing as a 3-story vertical grid of screened windows on one side flanked by concrete walls. 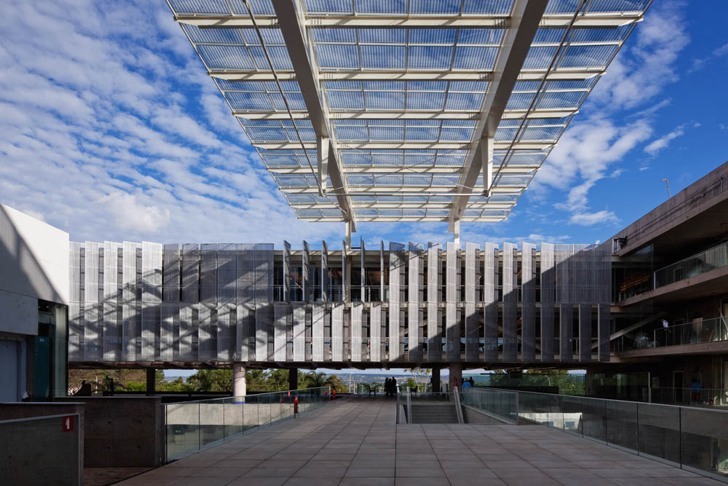 Visitors who venture closer discover an undulating form where the<a href="https://inhabitat.com/chinese-software-companys-undulating-campus-of-grass-and-glass/"> front lawn becomes a roof</a>. 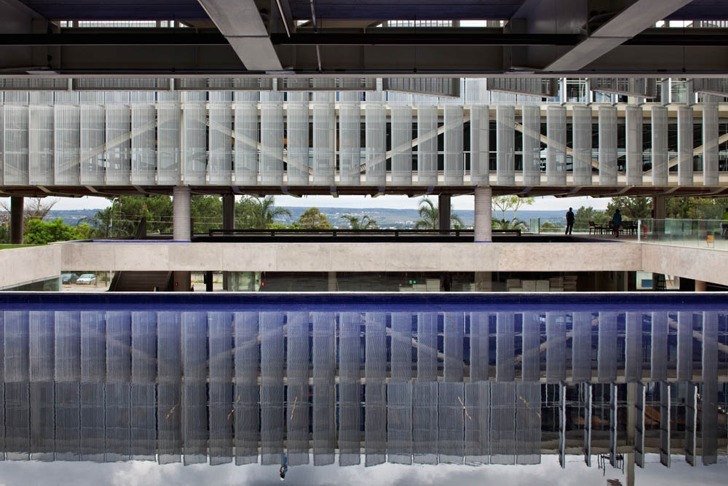 The promenade transitions into a series of reflecting pools, and the extensively shaded courtyard is fed by the offices and multi-use spaces surrounding it. 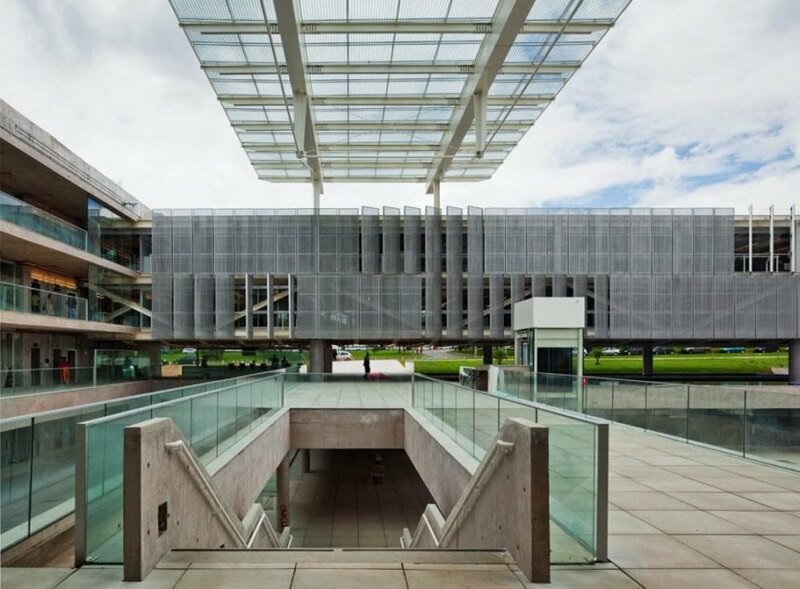 The structure actually contains six stories, beginning with a level of tucked-under parking. The core courtyard begins on the third level with stairs that lead to an upper outdoor space. 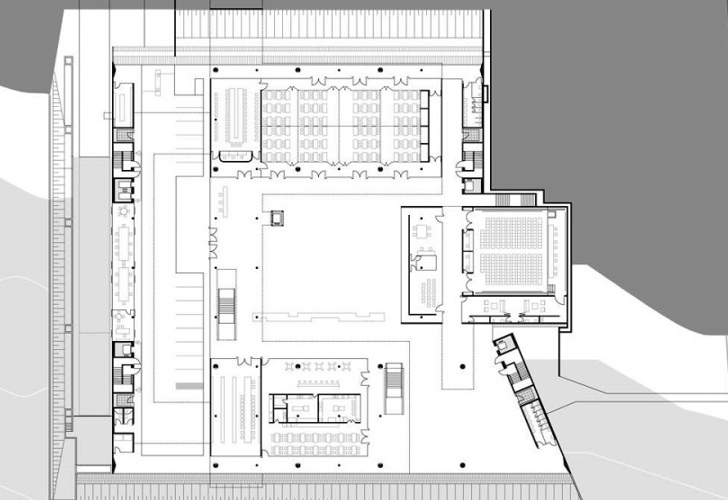 Two reflecting pools tucked under the upper offices are situated on either side of the courtyard. 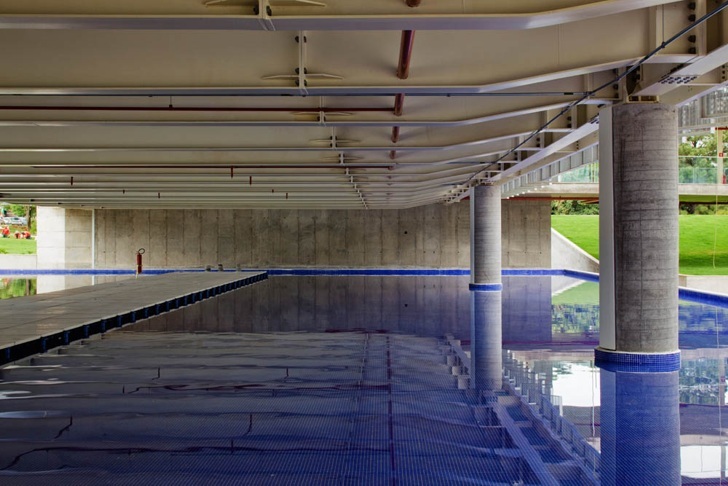 The pools serve a function beyond creating a visually interesting space -- prevailing breezes are cooled when entering the courtyard, creating a micro climate. 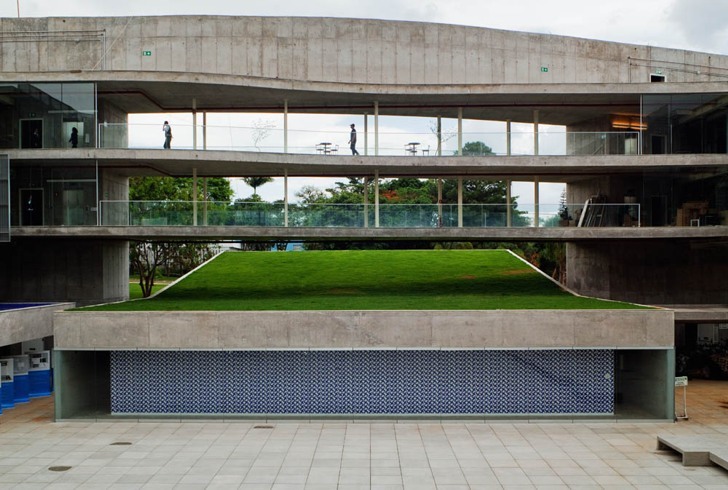 Located beneath the offices is a green-roofed auditorium, partially set below-grade. 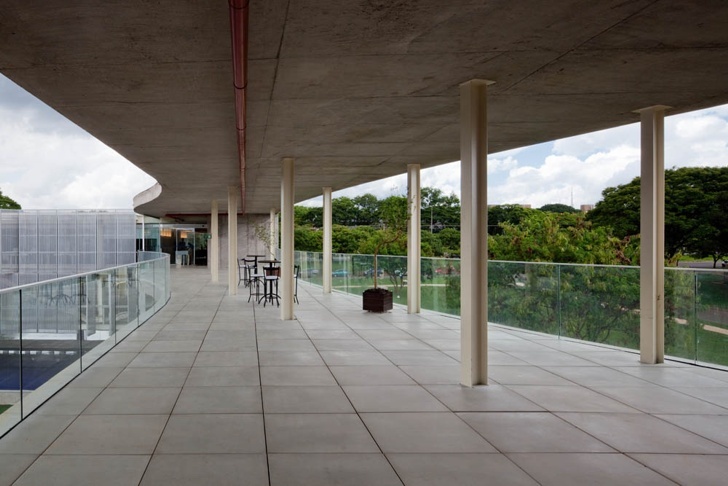 The building’s wings are connected by open-air walkways that double as outdoor patios with a view. 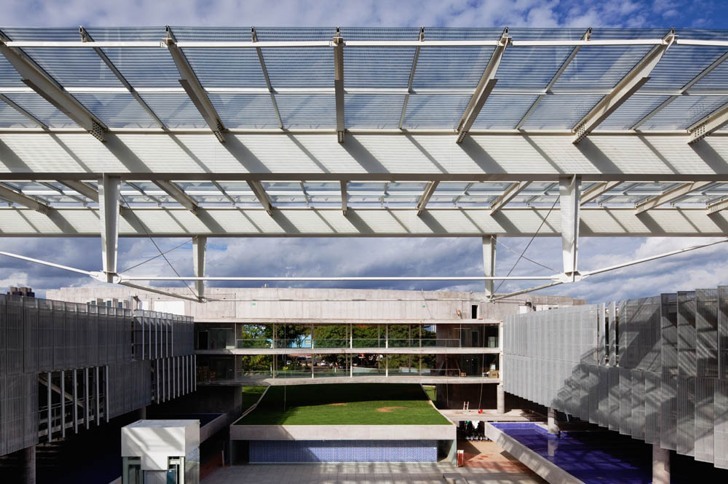 A massive solar screen transcends the rooftop, creating shade while allowing light and breezes to pass through. 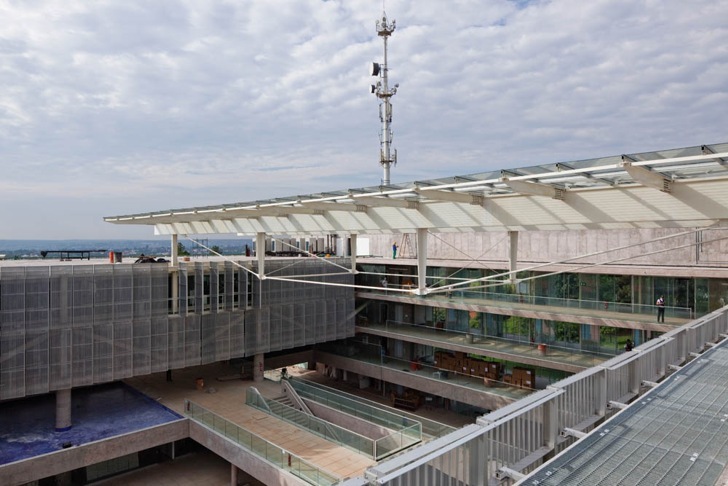 The offices are shrouded in metal <a href="https://inhabitat.com/modern-mexican-school-keeps-cool-with-solar-shading-skin/">brise-soleil panels</a> that can be opened and closed individually to accommodate the needs of occupants. 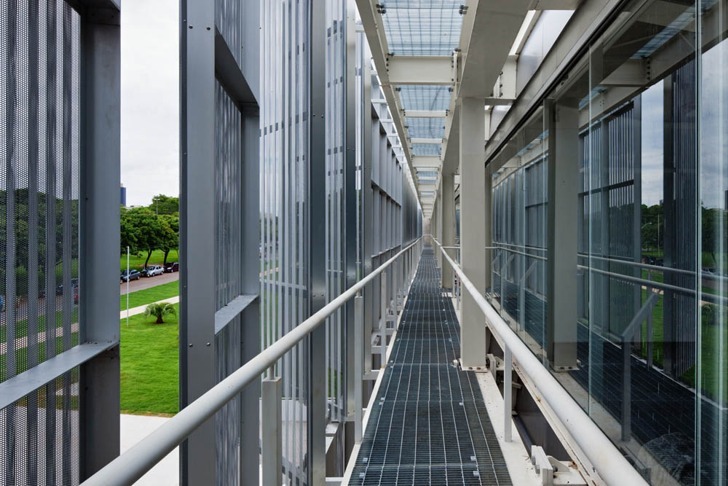 The panels reduce direct sun exposure and glare while still allowing<a href="https://inhabitat.com/daylighting/"> light</a> into the workspaces. The kinetic <a href="https://inhabitat.com/new-zealands-supreme-court-lays-down-the-eco-law/">skin</a> is complemented by a kinetic program. 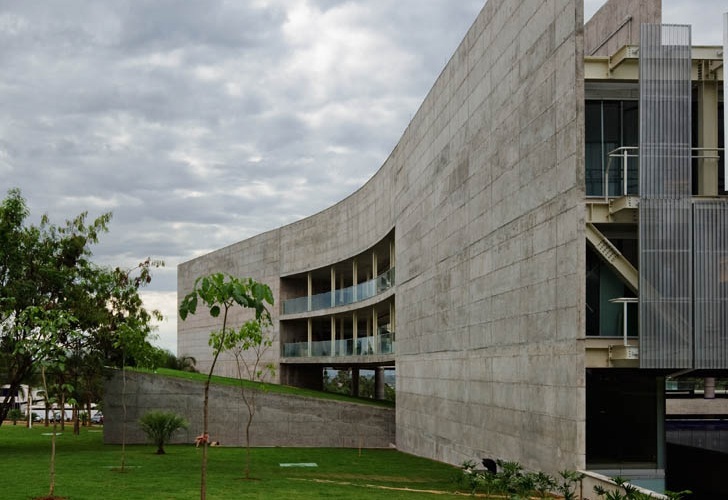 The internal work and recreation areas blend together with the outdoors, creating an organic work environment. 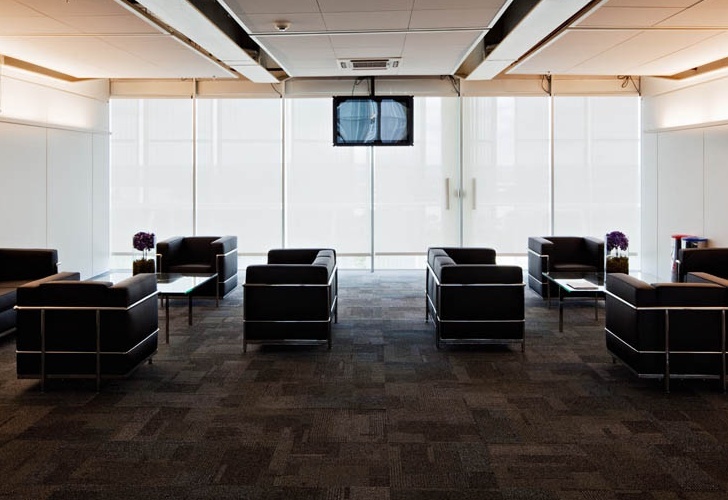 Public venues occupy the first couple levels while core workstations fill out the upper floors, which are connected by a series of walkways. The open interior is set on an efficient raised floor system to allow for rooms to change size according the nonprofit’s needs. 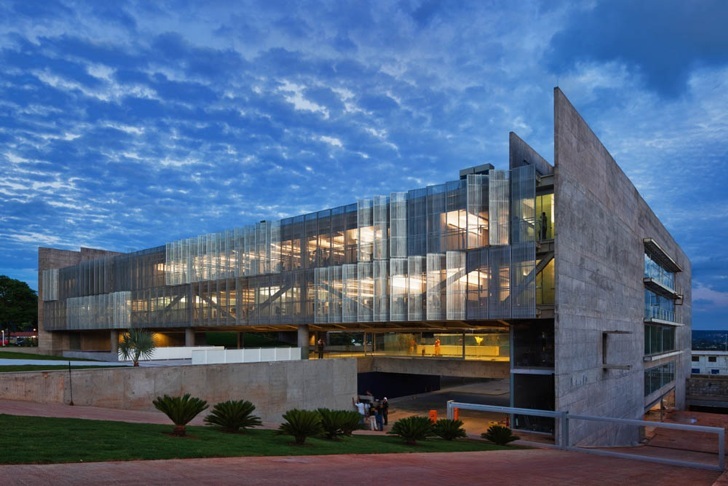 Gruposp has designed a new corporate headquarters for nonprofit Sebrae in Brasilia, Brazil that takes cues from the brutalist architecture of the country’s capital while integrating sustainable building strategies throughout. 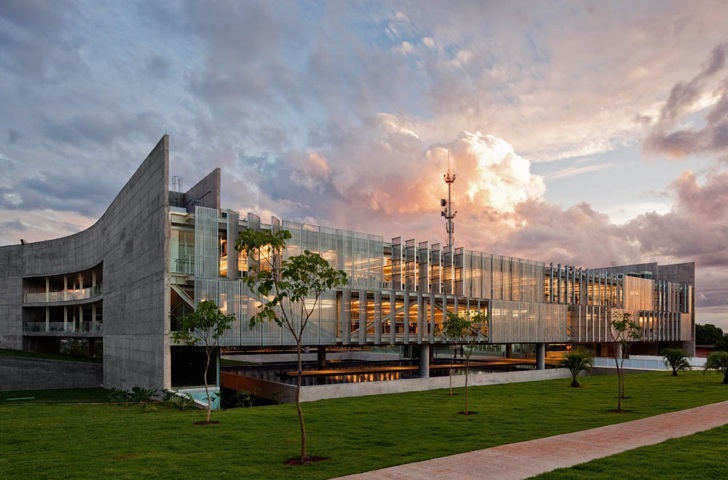 The design pays particular attention to the site's warm climate by providing plenty of outdoor space tempered by extensive cooling features such as a green-roofed auditorium, cooling pools, and brise-soleil cladding. 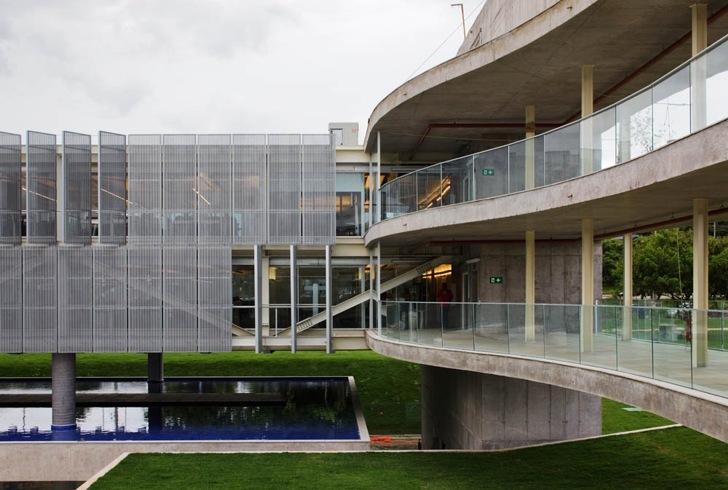 The floating design turns the typical office on its head (or inside-out in this case) by featuring an open core with work spaces flanking the perimeter.